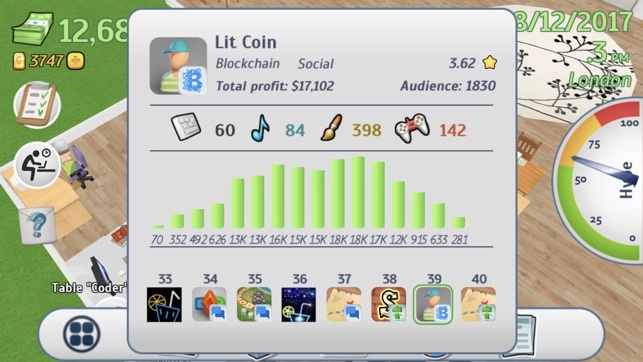 Office Story is an educational business simulator where you can create your own international corporation. From the very beginning of the game, you dive into the world of mobile development, where during the game you will get access to the analogs of modern mobile platforms. As in life, the market state is dynamic and constantly changing. New platforms come and old ones go. They just can't withstand the competition. As the game progresses you can move to a new city and country. Each location has its own labor market with its ethnic composition, professional level, and the cost of the employees. In some cities, you can meet industry stars. However, as a rule, they are expensive and want a huge salary. 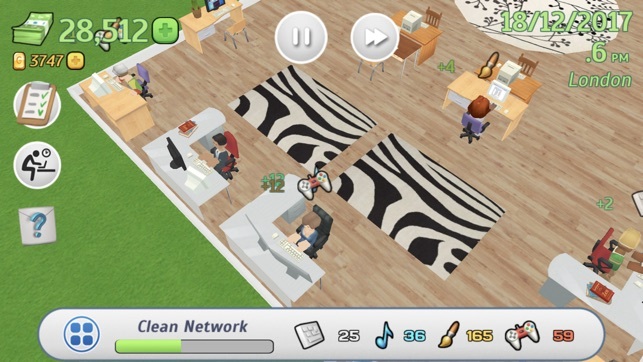 Build a business of your dreams today with Office Story! Play and invest your time if you're willing to lose everything in snap, without notice! I got so hooked on this game that I finished it one night. As I was playing the next day, I suddenly lost all my tables and employees! I always save my game, so I closed the app and reopened it to load my previous progress, but nope, all my staff and tables are still gone. Restarted my phone, and nope, all my staff and tables are still gone. So basically I have to hire new employees to continue (and note, all my employees have ridiculous stats and are legends) and all those expensive tables I bought? Gone as well. Weird thing is, all my progress is still saved, all the money and stats and gold, etc. but, the people and the table are gone! There's even a running task still that got stalled because no one's around! What the hell? Would've given this a straight up 5 star, but after this glitch, it's not even worth playing anymore. Hell no I ain't gonna replicate all the training and table buying! Hell no! This is the longest review I have ever written here. This is how disappoint I am in this. Your choices mostly matter only at the start. By the time your office is getting its act together you'll notice that as long as you keep people busy in general that it would be hard to fail. 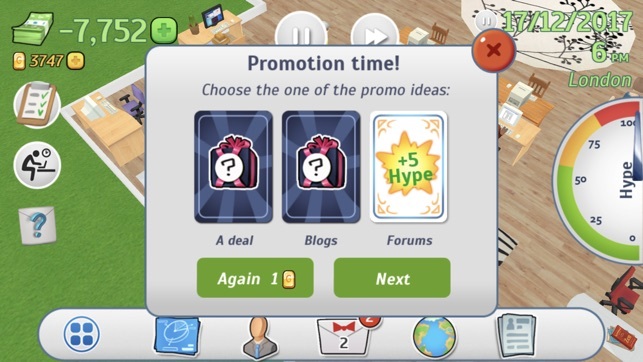 Random events pop up occasionally but the same choices will get you the top benefits each time, so they feel stale quickly. Add to this a fairly poor English translation and the game just feels clunky. I started with the free version and I was totally addicted. 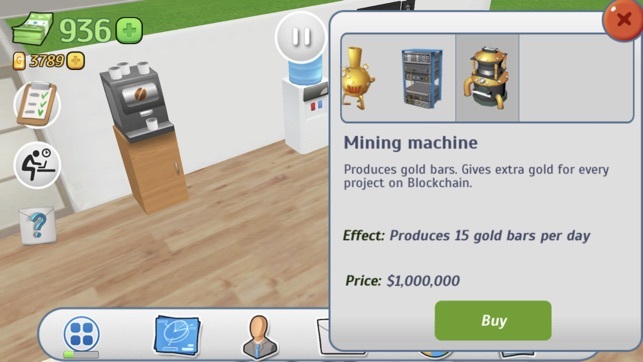 I loved finally getting a free fun game that didn't have ad popups every five seconds or begging to buy their preimium "gold" for actual money. I was so pleased with not being hassled that I bought the game to support more free games that let you try before you buy. Thanks guys and keep up the great work!